Long, long ago, in a small village lived two brothers: Ian, the oldest, and his little brother Claes. Claes could not speak. Their parents had died and it was up to Ian to continue to run the small sheep herd and see to it that his brother was taken care of. He had given Claes a silver bell he had found in the fields the day Claes was born to keep around his neck which he was to use if he needed help while he was tending the sheep. In the larger city that was some distance from their village was a big, magnificent cathedral which was famous for its bell tower. It was near Christmas time and the tradition of the country was to make a pilgrimage to the cathedral and present a present to the Christ Child. The Christmas season was in full swing and wherever one went in the small village one could hear the sounds of the Christmas season. While working the people of the village sang Christmas Carols. On a calm, clear day, even thought the Cathedral was miles away, one would listen to hear if the bells in the bell tower of the Cathedral would sound. It had been silent for many, many years and it was said that the bells would only sound again when a worthy gift was presented on the altar of the Cathedral. Shepherds heard and wondered why; sing of the glory, sing of the joy. As angels sang of the earth and of the sky, sing of the glory, sing of the joy. Ring out the message of good will and cheer, sing of the glory, sing of the joy. Proclaim the prophet’s night is here; sing of the glory, sing of the joy. A star to follow leading to a stable, sing of the glory, sing of the joy. Come ye rich and poor and lame and able, sing of the glory, sing of the joy. Rejoice, rejoice, Noel, Noel. Peace to all on earth, Noel, Noel. With holly and bells it is the caroling season, sing of the glory, sing of the joy. Sing the Noel, of feast and good reason, sing of the glory, sing of the joy. There was a legend about the Cathedral of the Bells. It was said that a miracle was the reason the Cathedral was built. It was said that a blind musician was granted sight by Jesus and the musician promise to build a Cathedral when he was able to see. Being a musician he had included a large, tall bell tower, its sound echoed throughout the country side. But, after the musician died, the bells remained silent. The only way to again hear the bells was for one of the parish faithful to give a worthy gift. All the people tried to give this worthy gift so they may be the one to make the bells ring, but so far these many years, no one had succeeded to ring the bells. Each Christmas they would come from far and near to present the Christ Child with a gift. The rich would give very expensive gifts but never did the bell ring. This is the legend of the Christmas Bells, high in a tower built in ancient times. In the distant past when Christ walked the land, lived a musician, a good and righteous man. To copy music was his labor by day, with pen and parchment in the ancient way. At night by candle light e wrote long hours not by note. By the dim lit flame he wrote his serenades, his eyes became weak, his sight began to fade. He heard that Christ had worked miracles before, just a word from the master, it would happen once more. To end his plight he prayed night and day, for a glance from Christ his way. When Christ passed by, a voice he did hear, “Lord that I may see” he heard so loud and clear. With his sight restored again he did write. He thought of repaying, to try and do what’s right. One night the spirit of the Lord he did see. 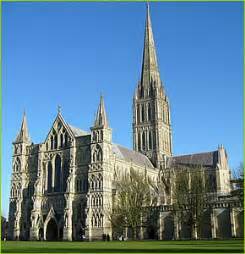 To save my people, build a cathedral form me, and add a tower with great bells to ring on Christmas day. The Cathedral he build with bell tower high, near a town called Bethlehem where mountains meet the sky. At Christmas time it was the custom to bring a gift to the altar, to make the bells ring. A worthy gift would make them ring, the love of which we sing. The bells have been silent for many a year. No gift from the faithful who came from far and near. Some day the bells will ring out all around, a worthy gift will make them sound. The years go by but the Christmas bells stand silently and still. Claes was in the fields lending the sheep and began thinking of his little silver bell and how it sounded. He would sometimes ring it softly just to hear it sound. He once had rang it loudly when a wolf was seen. Ian came running and chased the wolf away. Claes is safe with his little silver bell. After the day’s work was done, the two boys would sit around their stove and read and think about the hard day’s work in the fields. Ian would sing to Claes. Tonight he sang a beautiful Christmas Carol about the birth of the child Jesus to Mary. The night was cold and the wind was bold and the little baby cried. A shepherd took a tiny little bell from a little lamb that came inside. He gave it to the new born babe and the mother rang it o so mild, and the baby slumbered fast sleep among the cattle ox and sheep. This little boy born in Bethlehem town on this cold and wintry night, some day would become the savior of the world, now he lies in silent peaceful sleep.